CONGRATULATIONS TO THE FLASH ON A WELL DESERVED 2ND PLACE FINISH. THE FLASH PLAYED IN U-8 AT METRO STARS "COLISEUM CUP" TOURNAMENT. PLAYING THE TOP TEAMS FROM N.J. & THE TRI STATE AREA. THE 2ND PLACE FINISH EARNED THEM AND INVITATION TO PLAY AT GIANTS STADIUM!! CONGRATULATIONS TO THE FLASH ON A FINE FINISH. GOOD LUCK AT GIANTS STADIUM!! CONGRATULATIONS TO THE FLASH ON AN IMPRESSIVE 1ST PLACE FINISH!! THE FLASH COMPLETED THE TOURNAMENT GOING UNDEFEATED AND ALLOWING ONLY 1 GOAL IN 4 GAMES. THE FLASH PLAYED U-8 AT THE SOCCER MARATHON IN WEST BABYLON TOURNAMENT. GREAT JOB FLASH!! GOOD LUCK AT THE COMMACK MEMORIAL DAY TOURNAMENT!! CONGRATULATIONS TO THE FLASH ON A 1ST PLACE FINISH. THE FLASH PLAYED IN U-8 AT THE COMMACK MEMORIAL DAY TOURNAMENT. THE FLASH PROVED ONCE AGAIN THAT THEY ARE ONE OF TOP U-8 TEAMS ON LONG ISLAND BY NOT LOSING A SINGLE GAME OVER 3 DAYS. GREAT JOB BOYS!! GOOD LUCK IN THE DIX HILLS FATHERS DAY TOURNAMENT!! CONGRATULATIONS TO THE FLASH ON YET ANOTHER OUTSTANDING SHOWING. THE FLASH FINISHED IN 3RD PLACE OUT OF SIXTEEN IN THE MOST COMPETITIVE U-8 TOURNAMENT ON LONG ISLAND. THEY PROVED AGAIN THAT THEY CAN WIN AGAINST THE BEST U-8 TEAMS. THE FLASH PLAYED U-8 AT THE DIX HILLS FATHER'S DAY TOURNAMENT. GOOD LUCK IN THE 3 V 3 GOT MILK TOURNAMENT!! CONGRATULATIONS TO THE FLASH ON A 1ST PLACE FINISH. THE FLASH PLAYED IN U-7 AT THE Got Milk? 3-v-3 Soccer Shootout. THE FLASH PROVED ONCE AGAIN THAT THEY ARE ONE OF TOP U-7 TEAMS ON LONG ISLAND. GREAT JOB BOYS!! GOOD LUCK IN THE Got Milk? 3-v-3 Regional!! CONGRATULATIONS TO THE FLASH ON A 2ND PLACE FINISH. THE FLASH PLAYED IN U-8 AT THE Got Milk? 3-v-3 Soccer Shootout. THE FLASH PROVED ONCE AGAIN THAT THEY CAN PLAY WITH TOP U-8 TEAMS ON LONG ISLAND. GREAT JOB BOYS!! CONGRATULATIONS TO THE FLASH ON A 1ST PLACE FINISH. THE FLASH PLAYED IN U-8 AT THE Got Milk? 3-v-3 Soccer Shootout Philadelphia Regionals. THE FLASH PROVED ONCE AGAIN THAT THEY ARE BEST OF THE BEST. PLAYING THE TOP U-8 TEAMS FROM THE REGION. GREAT JOB BOYS!! GOOD LUCK IN THE Got Milk? 3-v-3 NATIONALS!! CONGRATULATIONS TO THE FLASH ON A 1ST PLACE FINISH. THE FLASH PLAYED IN U-9 AT THE HBC Labor Day Tournament . THE FLASH PROVED ONCE AGAIN THAT THEY ARE ONE OF TOP U-9 TEAMS ON LONG ISLAND. "Congrats to all of our kids and to you wonderful parents for another great tournament. Regardless of the final win/loss record, the kids' efforts ensured that we would consider all of them to be winners at the end of the day. Most importantly, they are all great kids and appear to be having fun out there. The icing on the cake was of course the kids' resilience in bouncing back from the tough loss to the Baymen the day before after being up 3-0, and then going up 2-0 and holding on for the 2-1 victory in the finals (by the way that was no penalty :-)." CONGRATULATIONS TO THE FLASH ON A 1ST PLACE FINISH. THE FLASH PLAYED IN U-9 AT Syosset Columbus Day Tournament. THE FLASH PLAYED FIVE GAMES WITHOUT A LOSS & WITHOUT GIVING UP A SINGLE GOAL!! Rockland Community College Tournament Boys U-8!! CONGRATULATIONS TO THE FLASH ON A 1ST PLACE FINISH. THE FLASH PLAYED IN U-8 AT Rockland Community College Tournament. THE FLASH PLAYED FIVE GAMES WITHOUT A LOSS!! 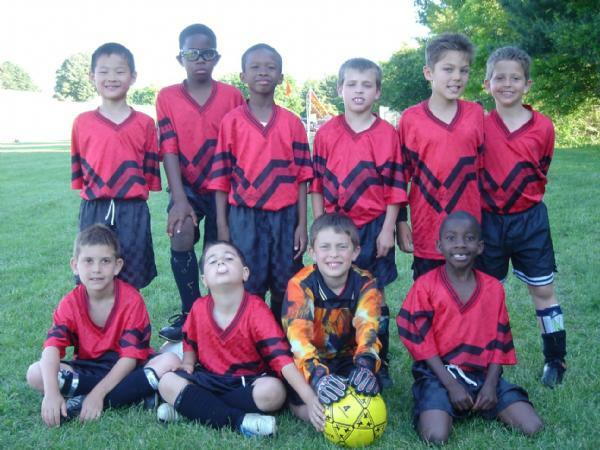 Rockland Community College Tournament Boys U-9!! CONGRATULATIONS TO THE FLASH ON A 2ND PLACE FINISH. THE FLASH PLAYED IN U-9 AT Rockland Community College Tournament. GREAT JOB BOYS!! At the tournament, we employed our usual defensive game plan of playing good defense and taking advantage of opportunities on offense as they became available. This usually serves us well. 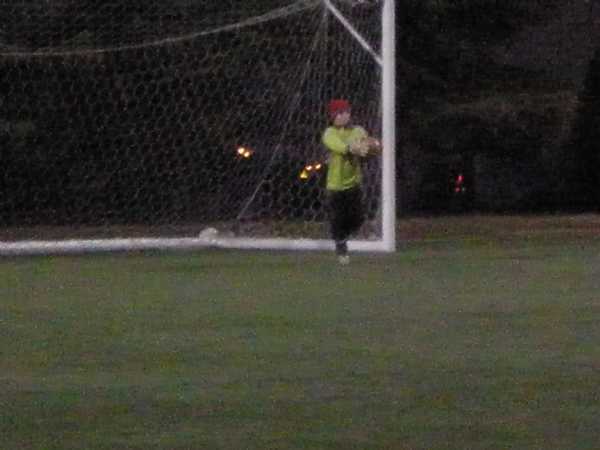 As you may recall we went 5 and 0 and gave up no goals at Syosset (and gave up very few shots on goal). As you know, yesterday we ended up in a three way tie-breaker with 4 wins and one loss. However, this tournament used total goals scored to determine the tie-breaker. BW Gottschee won their last game 9-1; had they scored 5 goals or less we would have come in second. This isn't sour grapes just an acknowledgment that we beat Clarkstown 4-1 and they won the tournament!!! (They beat Gottschee 2-1, and we lost to Gottschee 1-0). At 90% of tournaments we would have placed first with least goals allowed (3), on bonus points (9), or most shut-outs (2). I will be pointing this out to the Tournament director as it simply encourages teams to run up the score. Anyway, I'm incredibly proud of the kids and we'll be updating you with more tournament info soon. As always, a special thanks to Cody Cao, Will Slattery, Austin Prucha and all you parents for willing to make the day long commitment." A special thanks to Yijian for coaching and making great subs. Soccer Palace West Orange, NJ Tournament Boys U-9!! CONGRATULATIONS TO THE FLASH ON A 1ST PLACE FINISH. 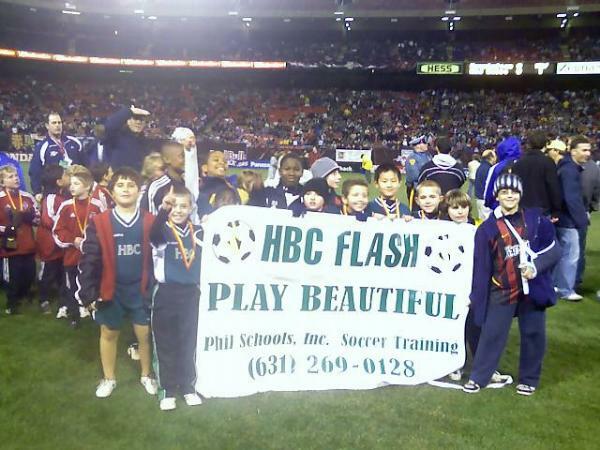 THE FLASH PLAYED IN U-9 Soccer Palace West Orange, NJ Tournament. THE FLASH WENT UNDEFEATED PLAYING THE TOP TEAMS FROM THE TRI STATE AREA & ONLY GIVING UP 1 GOAL IN FOUR GAMES. GREAT JOB FLASH!! GREAT JOB BOYS!! KEEP UP THE GOOD WORK!! Soccer Center Somerset, NJ Tournament!! Soccer Center Somerset, NJ Tournament Boys U-9!! CONGRATULATIONS TO THE FLASH ON A 1ST PLACE FINISH. THE FLASH PLAYED IN U-9 Soccer Center Somerset, NJ Tournament.THE FLASH WENT UNDEFEATED PLAYING THE TOP TEAMS FROM THE TRI STATE AREA & NOT GIVING UP A SINGLE GOAL IN FOUR GAMES. GREAT JOB FLASH!! GREAT JOB BOYS!! KEEP UP THE GOOD WORK!! 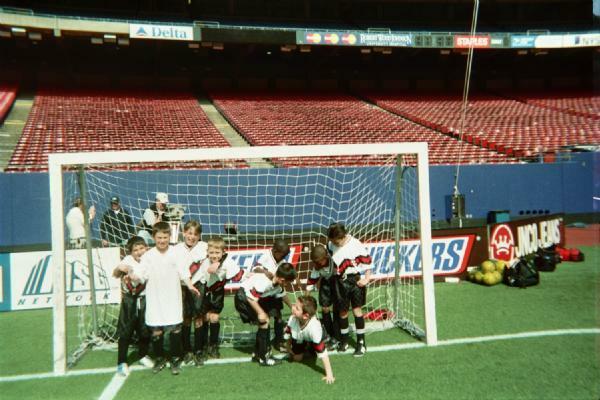 Metro Stars "Coliseum Cup" Boys U-8!! 1st Place Justin, Roger, Jake B., Kobie, Jake K., Ryan, Justin D.
CONGRATULATIONS TO THE FLASH ON A WELL DESERVED 1ST PLACE FINISH. THE FLASH PLAYED IN U-8 AT METRO STARS "COLISEUM CUP" TOURNAMENT. PLAYING THE TOP TEAMS FROM N.J. & THE TRI STATE AREA. THE 1ST PLACE FINISH EARNED THEM AND INVITATION TO PLAY AT GIANTS STADIUM!! 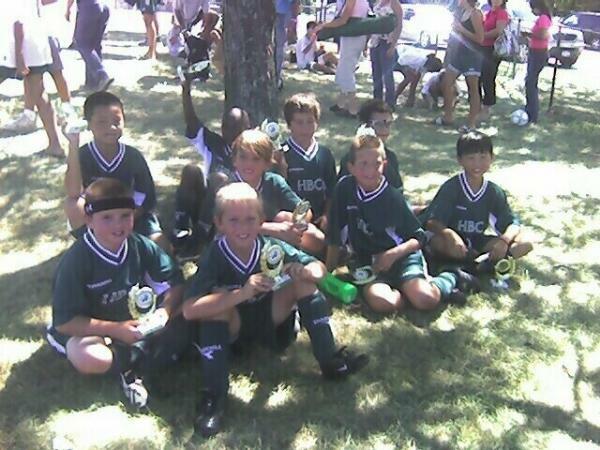 HBC Labor Day Tournament 2005!! CONGRATULATIONS TO THE FLASH ON YET ANOTHER OUTSTANDING SHOWING. THE FLASH FINISHED IN 2ND PLACE IN THE MOST COMPETITIVE U-9 TOURNAMENT ON LONG ISLAND. THE FLASH WON FOUR OUT OF FIVE GAMES. THEY PROVED AGAIN THAT THEY CAN WIN AGAINST THE BEST U-9 TEAMS. THE FLASH PLAYED U-9 AT THE HBC LABOR DAY TOURNAMENT. CONGRATULATIONS TO THE FLASH ON YET ANOTHER OUTSTANDING SHOWING. 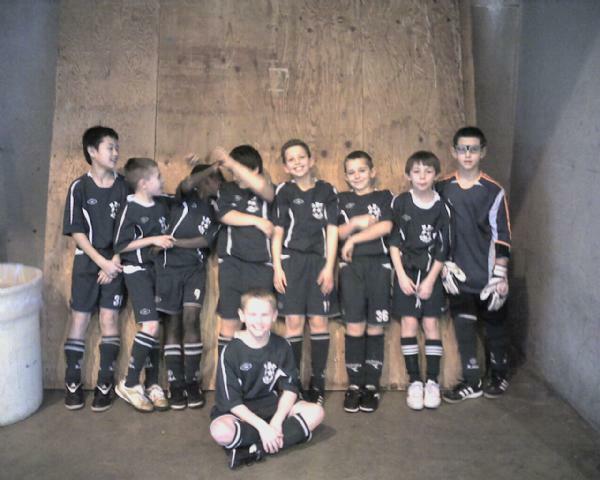 THE FLASH PLAYED UP AT U-10 AT THE Soccer Palace, West Orange NJ. CONGRATULATIONS TO THE FLASH ON A 3RD PLACE FINISH. THE FLASH PLAYED IN U-9 AT Rockland Community College Tournament. GREAT JOB BOYS!! CONGRATULATIONS TO THE FLASH ON A WELL DESERVED 2ND PLACE FINISH. THE FLASH PLAYED UP A YEAR IN U-10 AT ISA WINTER BREAK TOURNAMENT. CONGRATULATIONS TO THE FLASH ON YET ANOTHER OUTSTANDING SHOWING. "PLAYING UP A YR" THE FLASH FINISHED IN 2ND PLACE IN MOST COMPETITIVE U-10 TOURNAMENT ON LONG ISLAND. THEY PROVED AGAIN THAT THEY CAN WIN AGAINST THE BEST U-10 TEAMS. THE FLASH PLAYED U-10 AT "Ultimate Spring Kick-Off Cup". Metro Stars "Coliseum Cup" Boys U-9!! CONGRATULATIONS TO THE FLASH ON A WELL DESERVED 1ST PLACE FINISH. THE FLASH PLAYED IN U-9 AT METRO STARS "COLISEUM CUP" TOURNAMENT. PLAYING THE TOP TEAMS FROM N.J. & THE TRI STATE AREA. THE 1ST PLACE FINISH EARNED THEM AND INVITATION TO PLAY AT GIANTS STADIUM!! GOOD LUCK IN GIANTS STADIUM!! 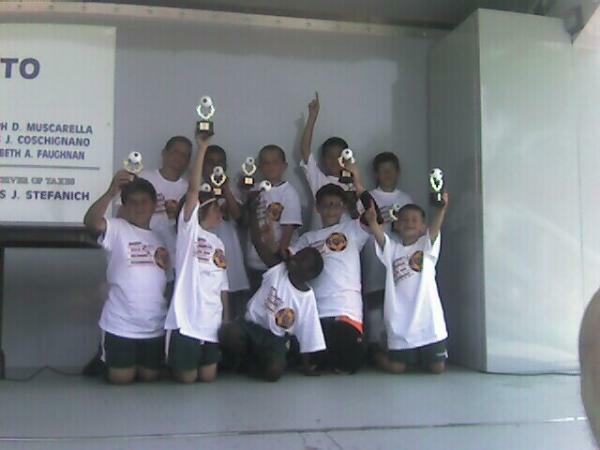 CONGRATULATIONS TO THE FLASH ON WINNING THE 2006 "GIANTS STADIUM" CHAMPIONSHIP!!! CONGRATULATIONS TO THE FLASH ON A 1ST PLACE FINISH. THE FLASH PLAYED IN U-9 AT Massapequa Father's Day Tournament. CONGRATULATIONS TO THE FLASH ON YET ANOTHER OUTSTANDING SHOWING. THE FLASH PLAYED ONE OF THE TOP TOURNAMENTS IN THE COUNTRY IN THE CUP FLIGHT GOING 1-2-0. FLASH PLAYED U-10 AT Spirit United "Kickoff Classic"
2006 Pemberton-Ft Dix Columbus Weekend Tournament!! CONGRATULATIONS TO THE FLASH ON AN IMPRESSIVE 1ST PLACE FINISH!! 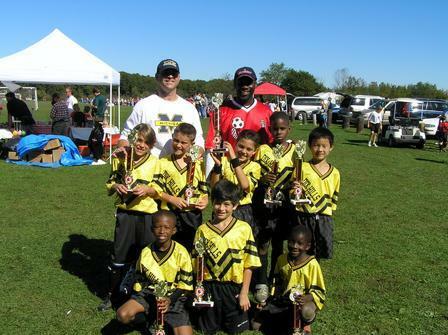 THE FLASH PLAYED U-10 AT THE 2006 Pemberton-Ft Dix Columbus Weekend Tournament!! Hofstra University Quad Soccer Tournament!! CONGRATULATIONS TO THE FLASH ON YET ANOTHER OUTSTANDING SHOWING. THE FLASH FINISHED IN 2ND PLACE PLAYING UP A YR!! THE FLASH WON THREE OUT OF FOUR GAMES. THE FLASH PLAYED U-11 AT THE Hofstra University Quad Soccer Tournament. CONGRATULATIONS TO THE FLASH. THE FLASH PLAYED IN U-10 AT THE Soccer Palace - Westfield NJ TOURNAMENT. 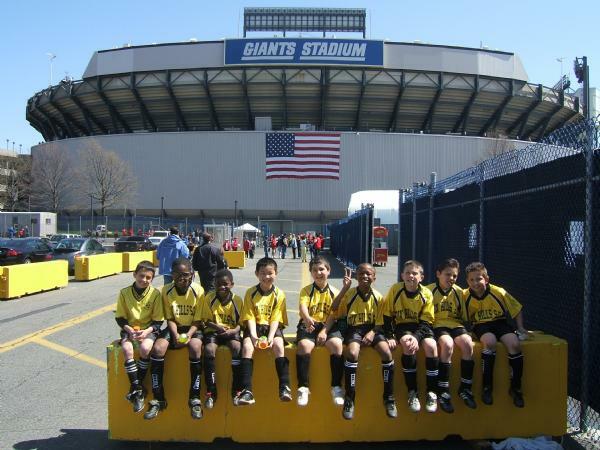 Rockland Community College Tournament Boys U-10!! CONGRATULATIONS TO THE FLASH ON A 3RD PLACE FINISH. 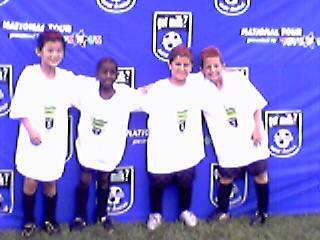 THE FLASH PLAYED IN U-10 AT Rockland Community College Tournament. GREAT JOB BOYS!! CONGRATULATIONS TO THE FLASH. 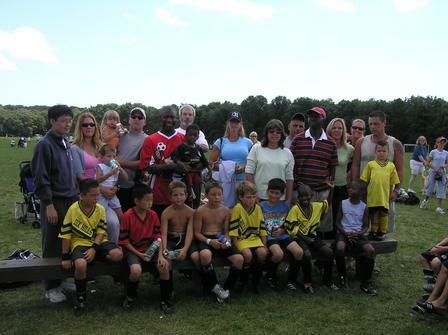 THE FLASH PLAYED IN U-10 AT Soccer Coliseum Teaneck NJ. CONGRATULATIONS TO THE FLASH ON YET ANOTHER OUTSTANDING SHOWING. "PLAYING UP A YR" THE FLASH PLAYED U-11 AT "Ultimate Spring Kick-Off Cup". 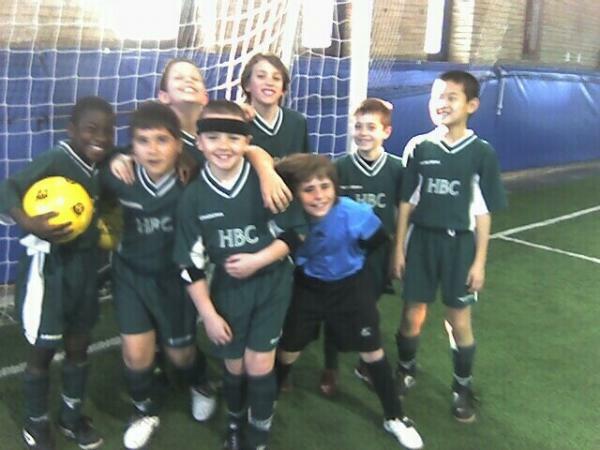 "The HBC Flash capped off their undefeated 9-0-0 season by winning the Division One Waldbaum's Cup final. The team took a 2-0 lead into the half, however a resilient Smithtown squad evened up the score at 2-2 after the break. The Flash responded well and was able to once again take a two-goal lead at 4-2 before Smithtown scored a late goal for the final 4-3 score. The Flash had to endure two back-to-back double overtime penalty kick shootouts in the quarter and semi-finals in order to advance to the finals. 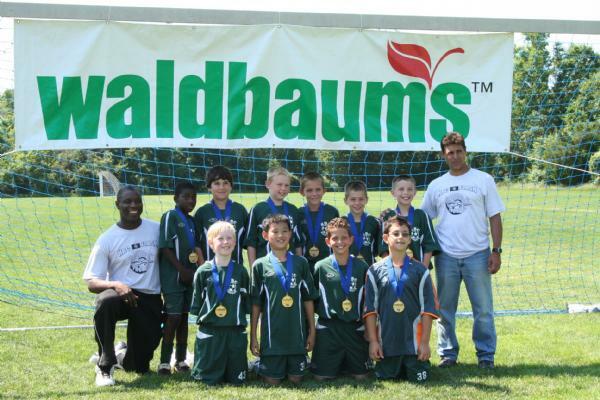 The Division One champions also had to prevail two times against both Middle Country United and Smithtown Arsenal during the LIJSL season and again in the Waldbaum's tournament - neither Middle Country nor Smithtwon lost a game during the fall 2006 season. In addition, the Flash also defeated the very strong intra-town friendly-rivals Dix Hills Heat whose only losses came against the Waldbaum's cup finalists. The Flash now looks forward to Summer Camps and time away from soccer before embarking on their quest to defend their Division One and Waldbaum's Cup titles, in addition to competing in the New York State Cup championship in the fall." CONGRATULATIONS TO THE FLASH ON GETTING TO THE SEMI FINALS. THE FLASH PLAYED ONE OF THE TOP TOURNAMENTS IN THE COUNTRY IN THE CUP FLIGHT GOING 1-1-1. FLASH PLAYED U-11 AT Spirit United "Kickoff Classic"
HBC Labor Day Tournament 2007!! CONGRATULATIONS TO THE FLASH ON YET ANOTHER OUTSTANDING SHOWING. THE FLASH FINISHED IN 3RD PLACE IN THE MOST COMPETITIVE U-11 TOURNAMENT ON LONG ISLAND. THE FLASH PLAYED U-11 AT THE HBC LABOR DAY TOURNAMENT. CONGRATULATIONS TO THE FLASH ON YET ANOTHER OUTSTANDING SHOWING. THE FLASH PLAYED ONE OF THE TOP TOURNAMENTS IN THE COUNTRY IN THE CUP FLIGHT GOING 1-1-1. FLASH PLAYED U-11 AT "YMS Columbus Day Tournament"
Rockland Community College Tournament !! 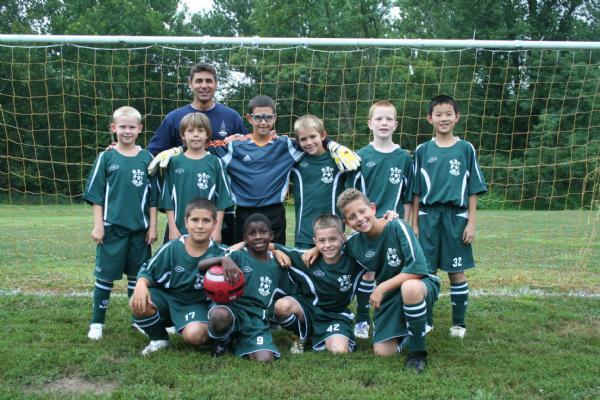 Rockland Community College Tournament Boys U-11!! CONGRATULATIONS TO THE FLASH ON A 3RD PLACE FINISH. THE FLASH PLAYED IN U-11 AT Rockland Community College Tournament. GREAT JOB BOYS!! MLK Southbay Sports plex Tournament!! CONGRATULATIONS TO THE FLASH ON YET ANOTHER OUTSTANDING SHOWING. THE FLASH FINISHED IN 3RD PLACE PLAYING UP A YR!! THE FLASH WON 2 OUT OF FOUR GAMES. THE FLASH PLAYED U-12 AT MLK Southbay Sports plex Tournament!!. Rockland Community College Tournament Boys U-12!! CONGRATULATIONS TO THE FLASH ON A 2ND PLACE FINISH. THE FLASH PLAYED-UP IN U-12 AT Rockland Community College Tournament. GREAT JOB BOYS!! CONGRATULATIONS TO THE FLASH ON YET ANOTHER OUTSTANDING SHOWING. THE FLASH FINISHED IN 1ST PLACE IN MOST COMPETITIVE U-11 TOURNAMENT ON LONG ISLAND. THEY PROVED AGAIN THAT THEY CAN WIN AGAINST THE BEST U-11 TEAMS. THE FLASH PLAYED U-11 AT "Ultimate Spring Kick-Off Cup". CONGRATULATIONS TO THE FLASH. THE FLASH PLAYED ONE OF THE TOP TOURNAMENTS IN THE COUNTRY IN THE CUP FLIGHT GOING 1-1-1. FLASH PLAYED U-11 AT Potomac Memorial Day Tournament 2008. CONGRATULATIONS TO THE FLASH ON YET ANOTHER OUTSTANDING SHOWING. THE FLASH PLAYED ONE OF THE TOP TOURNAMENTS IN THE COUNTRY. GOING 2-1-0. FLASH PLAYED U-12 AT "Columbus Cup" Columbus Day Tournament..
CONGRATULATIONS TO THE FLASH ON YET ANOTHER OUTSTANDING SHOWING. THE FLASH PLAYED U-12 AT "Jefferson Cup"
CONGRATULATIONS TO THE FLASH ON A 1ST PLACE FINISH. 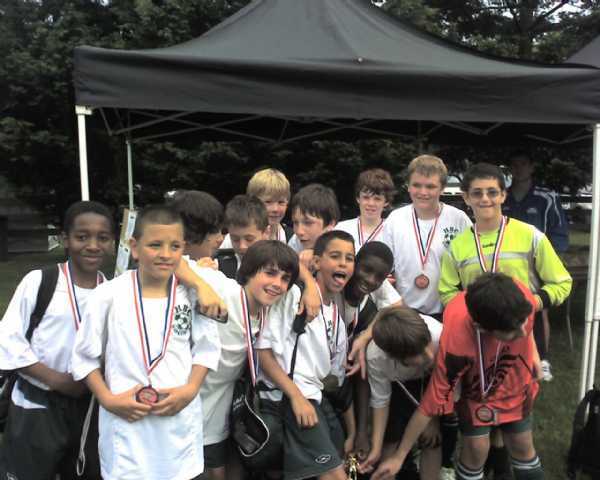 THE FLASH PLAYED IN U-12 AT THE MASSAPEQUA MEMORIAL DAY TOURNAMENT. THE FLASH PROVED ONCE AGAIN THAT THEY ARE ONE OF TOP U-12 TEAMS BY NOT LOSING A SINGLE GAME OVER 2 DAYS. GREAT JOB BOYS!! CONGRATULATIONS TO THE FLASH. THE FLASH PLAYED ONE OF THE TOP TOURNAMENTS IN THE COUNTRY IN THE CUP FLIGHT GOING 1-2-0. FLASH PLAYED U-13 AT Spirit United "Kickoff Classic"
CONGRATULATIONS TO THE FLASH ON YET ANOTHER OUTSTANDING SHOWING. THE FLASH PLAYED ONE OF THE TOP TOURNAMENTS IN THE COUNTRY. GOING 2-1-1 & MAKING IT TO THE SEMI FINALS. FLASH PLAYED U-13 AT "Columbus Cup" Columbus Day Tournament..